Royal visits are a dime a dozen these days. No sooner had Camilla and Charles finished walking barefoot along Derrynane Strand than we hear the shiniest new royals in Windsor – Megs and Hazza – will be spending two days in Dublin this summer. An Irish mini-moon, no less. Cynics may point out that the announcement conveniently coincides with the rehabilitation of Thomas Markle. This week, Meghan Markle’s father appeared on ‘Good Morning Britain’, and told Piers Morgan that Harry thinks Donald Trump is a decent skin, is pro-Brexit, and the only stipulation Thomas had about Harry marrying his daughter was that he didn’t slap her. Given the British royal family’s obsession with political neutrality and privacy, the comments can’t have gone down too well. But rather than focus on the litany of protocol gaffes made by the poor man, we can now concentrate on M&H’s visit and start speculating about what they will do. Odds are a quick visit to Miggeldy in the Áras (bid to improve Anglo-Irish relations), a trip to a social youth centre (worthy), and skulling pints in the Gravity Bar (compulsory Paddywhackery bit). Despite the predictability, news of their visit is exciting. Obviously, it’s not on the scale of Pope Francis’s Holy Rollers Tour or Ed-Mania, but people will still get worked up. We like a royal visit – just look at the crowds who waited outside Cork’s English Market for Camilla and Charles. Even staunch Republicans seem to be looking forward to the visit. Sinn Féin TD John Brady said he would welcome the couple should they visit his hometown of Bray. It was a bit of a U-turn given that last month Brady claimed he was totally opposed to “RTÉ using my TV licence money to broadcast the wedding of a privileged English monarch”. While the visit will generate reams of articles on hats and hairdos, this visit has an added political significance. It was requested by the queen, who is keen to work on Irish and British relations, despite the looming threat of Brexit. 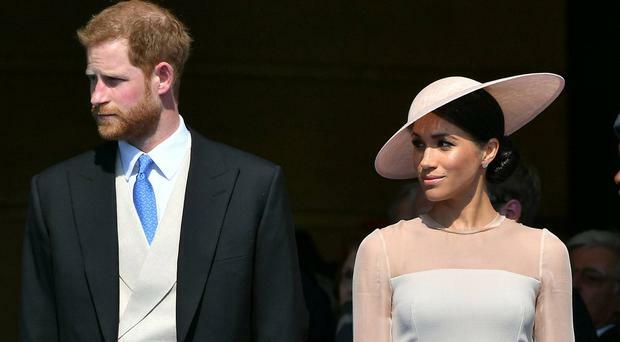 On top of that, Harry and Meghan are thoroughly modern royals. She is a divorced biracial American actress, and the one of the youngest members of the National Organisation for Women. He is a red head, and that in itself is reason to celebrate. They also give us fantastic staged photos, love dogs, like the rain, and are masters of public relations.